How To : Enable IP Forwarding in Ubuntu/Linux Mint ~ Your Own Linux..! IP Forwarding is mostly needed when you are working on two ethernet interfaces, when you need to configure your system as a router or a gateway, when you want your system to act as VPN server, and for sharing the internet connection. 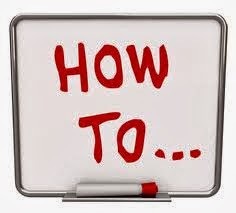 We have already used IP forwarding concept in one of our articles entitled How To: Configure Ubuntu as a Router. In this article,we will learn how IP Forwarding is enabled in systems running Ubuntu/Linux Mint. 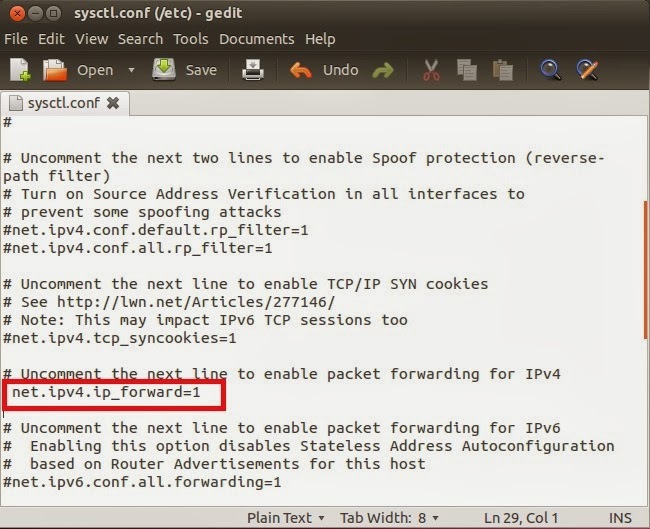 To keep IP Forwarding enabled permanently, you will have to edit /etc/sysctl.conf file using your favorite text editor, I will use gedit here. That's all..! So simple it was..!